PII compliance doesn't have to be overwhelming. 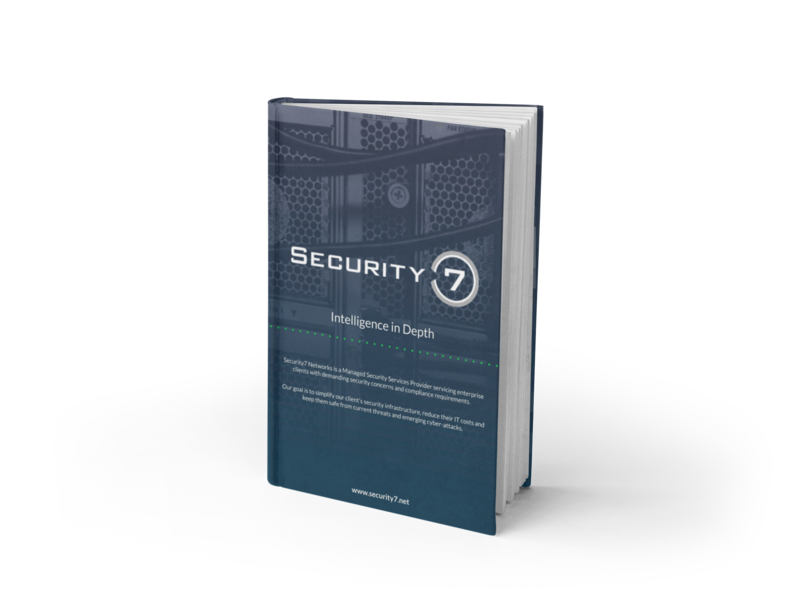 Security7 Networks can help you. Protect your business while staying compliant. Security7 Networks will help you meet your compliance needs & prevent cyber-attacks. Why is PII Compliance so crucial for businesses? State governments have implemented their own sets of compliance regulations for businesses who collect Personal Identifiable Information (PII) from their customers. PII includes things like a customer’s name, their physical address, email, social security and driver’s license numbers. These state compliance regulations are put in place to help protect residents from things like identity theft, fraud and other avenues of abuse. If your company complies, the data you collect should be secure and the resident (your customer) safe. Multiple states have instituted their own PII Compliance standards over the past decade. For example, the Commonwealth of Massachusetts has 201 CMR 17.00, and the State of California has Civ. Code § 1798.82. Penalties vary from state to state, but fines can be costly. Let’s use Massachusetts’ 201 CMR 17.00 as an example. Add to that a drop in consumer confidence, and you’re looking at a pretty hefty cost if you’re not in compliance. To safeguard your businesses’ PII assets, you need a to develop a written corporate IT security policy that defines how IT assets are to be protected, expected employee behaviors, and the consequences of violations. The first step in the process is to perform an inspection. Security7 uses a trusted 3rd party auditing firm to analyze your IT assets and business processes and locate any toxic data collection points. While the audit is underway, Security7’s experts will use established compliance standards to prepare a response plan for you. After the audit results are in and the response plan drafted, we’ll analyze the results to discover any potential problems that may already exist and prioritize remediation based on risk. Our experts will implement controls and solutions developed specifically to keep you compliant. After implementation, we’ll give the recommended solution another pass to identify any risks or problems that may have arisen, and we’ll remediate them.